There are very few games in Mzansi with more history than the Soweto Derby and another chapter will be written at the FNB Stadium on Saturday (3.30pm). The country will once again come to a standstill and families will be divided come kick-off. The winning team will be rewarded with three points, and perhaps more importantly - bragging rights. Orlando Pirates are in fine form in this fixture, they have dominated their arch rivals in recent games. The Buccaneers got the better of Chiefs three times in 2018 and are undefeated against Amakhosi in their last eight matches across all competitions - recording four victories and four draws. They currently sit third on the Premier Soccer League (PSL) standings with 33 points while their rivals are five points adrift in sixth position. Judging by recent form, Pirates are favorites to claim victory come Saturday, however, form goes out the window on derby day. Amakhosi, who have been starved of victory in this fixture in recent years, will attempt to wrestle back control. They lasted tasted victory over Bucs in a Telkom Knockout semi-final clash back in 2015, albeit through penalties. They will be encouraged by their superior record in the Soweto Derby, having won 67 matches compared to Pirates' 41. They also boast the most number of goals in this fixture, they have found the net on 212 occasions while the Sea Robbers have only scored 176. A number of players will hope to get their first taste of the iconic Soweto Derby, arguably the biggest game in Mzansi football. 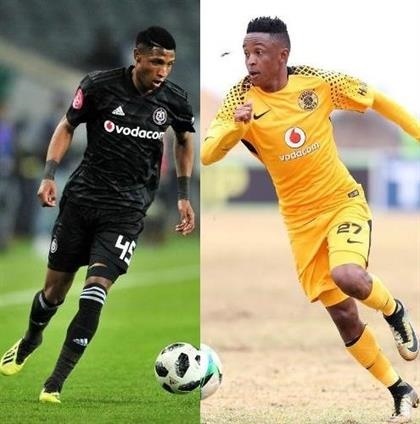 Kudakwashe Mahachi, Alfred Ndengane, Meshack Maphangule and Abel Mabaso will look to pile more misery on Chiefs when they face them for the first time in the Black and White of Pirates. For the Phefeni Glamour Boys, goalkeepers Daniel Akpeyi or Virgil Vries will be hoping for a quiet day at the office with the assistance of youngsters Reeve Frosler and Happy Mashiane in the fullback positions, should they make the team.